Agents of S.H.I.E.L.D. has been inching towards the very destination its characters have been trying to avoid all season long, but “The One Who Will Save Us All” finally reveals the one most likely to doom them. And as the clock ticks down to Doomsday, the team is more broken than ever before. 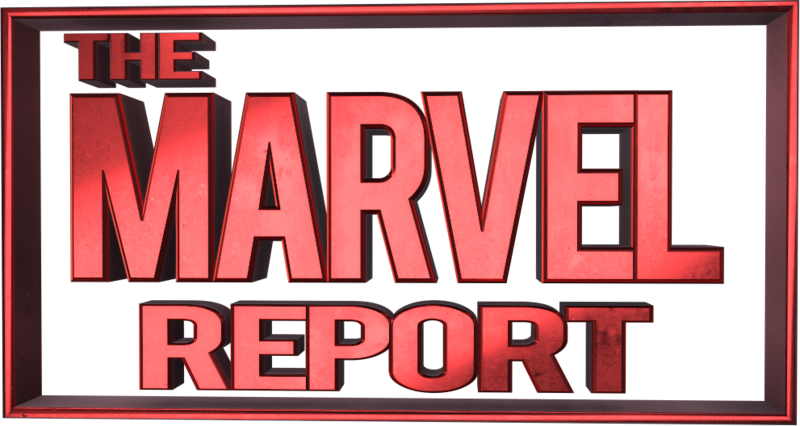 But, on the bright side, the show drops the Avengers: Infinity War tie-in we’ve all been waiting for. The newly-powered and madder-than-ever Talbot (Adrian Pasdar) takes Coulson (Clark Gregg) to meet with Qovas and his alien ship. While the power of the Gravitonium immediately drove Creel and Ruby wild with its pained voices, Talbot appears more controlled than ever and even cracks a joke about these losers needing a general to keep them in line. 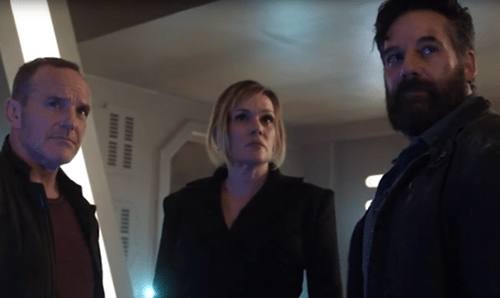 Right off the bat, it’s clear how ironic “The One Who Will Save Us All” is as a title, but Talbot’s demeanor also raises a few questions about how Gravitonium works that Agents of S.H.I.E.L.D. will probably never answer. Can Talbot just will anything to happen now, like Thanos, or is he Vader with a Force fold instead of a choke? And what made his body able to handle all of the sample at once when Creel and Ruby fell apart with much less? Logistical issues aside, Talbot’s robotic insistence that he will fix everything is appropriately creepy and sets the tone of dread for all of “The One Who Will Save Us All.” He garners the respect of Qovas and his cohorts by crushing one of the aliens with a mere flick of his wrist, and while Coulson’s fear is palpable he’s also wise enough not to push his old friend too far. If anything, Talbot demanding that the others kneel before him was the real tip-off that he was no longer the same man. Talbot has always been a soldier, not a dictator, and it’s almost enough to wonder if one of the voices he thinks he’s controlling is actually influencing him. While Talbot prepares to meet with the Confederacy and negotiate new terms with himself as the bargaining chip, Coulson visits a rather remorseful General Hale in her cell. She may have sold out the Agents of S.H.I.E.L.D. in her grief over losing Ruby, but Coulson still believes she can help them now. And so she and Coulson hold down the fort while their super-powered friends pays the Confederacy a visit at Qovas’ side. It’s no surprise when he murders one of their members to make room for himself, but it is a surprise when the one he takes the most liking to is none other than a Kree named Kassius. Since Talbot wasn’t on the Lighthouse in the future, and no one has explained that time in great detail, he can have no way of knowing that he’s conspiring with the father of the very Kree who rules humans post-apocalypse. But he’s not even much worried about the future threat when he learns that Thanos is coming to town. That’s right, “The One Who Will Save Us All” syncs up with the timeline of Avengers: Infinity War. Presumably it’s still right before or at the very start of the film, but nonetheless its events push Talbot to make a terrifying decision: he will join himself with all the Gravitonium left under the Earth’s surface in order to become its mightiest defender. No chance that’s what cracked the Earth open, is there? Things aren’t any better in the Lighthouse than they are in space, seeing as Mack (Henry Simmons) is still mad at Yo-Yo (Natalia Cordova-Buckley) for killing Ruby. Meanwhile, Yo-Yo is mad at Daisy (Chloe Bennet) for ‘abandoning’ the team when they were attacked, and Fitz (Iain de Caestecker) and Simmons (Elizabeth Henstridge) are both rethinking their commitment to morally ambiguous life choices. Daisy and Yo-Yo actually have a face-off which winds up being one of the only battles in “The One Who Will Save Us All,” but it’s quickly interrupted by a very determined May (Ming-Na Wen). The only one with any love in his heart is Deke (Jeff Ward), who is impressing his grandparents with his technical skills and even melting Daisy’s defenses just a tad with his kind demeanor if not his lemons. Deke lends his listening ear in order to get close to Daisy, but soon enough he hits the Lincoln wall. You can’t be blamed if you don’t know what that is, because Daisy’s dead ex-boyfriend Lincoln hasn’t mentioned in a season – and even then it was only a passing comment. Making him a romantic deterrent, and even going so far as to say that Daisy’s still in love with him, was out of left field and probably one of the weaker moments in the episode. But it does bring out the best in Deke, who puts aside his own confession of love and instead promises her they will save Coulson. Fitz apologizes to Mack for locking him up, but Mack is done listening to his excuses. It’s a good thing that someone has maintained their moral center throughout all the craziness in Agents of S.H.I.E.L.D. While the Kill vs. No Kill argument has been beaten to death across every superhero show this season – not to mention Thanos’ thesis in Infinity War – “The One Who Will Save Us All” introduces a new element with Mack’s Christianity being the reason he refuses to cross the same lines as his teammates. 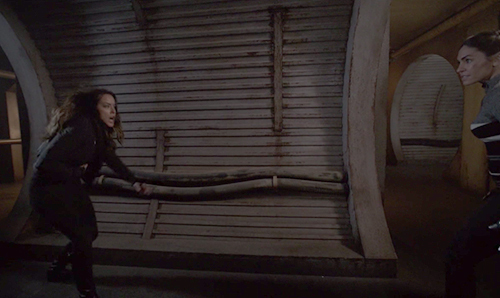 Speaking of crossing lines, Daisy asks Jemma to mix her mother’s DNA into her latest Coulson-saving method. Another morality argument is sidestepped, but Jemma is suddenly the one with a conscience. Perhaps she and her husband were not prepared for the consequences of their latest attempts to break the mold? May, Daisy and Deke head to space together to rescue Coulson and Talbot from the Confederacy, but this winds up being exactly what turns Talbot against Coulson and S.H.I.E.L.D. for the last time. And so another short battle ensues: Talbot nearly kills Coulson, only for Hale to wind up dead instead after trying the good old “Comply” trick on him. Daisy holds on a little longer using her Quake powers against him, but it’s all over when May surrenders in order to keep Phil safe. Let’s hope his life manages to save the world rather than totally destroy it, right? Didn’t Mack also kill a bunch of krees and kasius? Remember when he also choked Hunter out and locked him up while working with Bobbi in season two, lol. He needs to get off his high horse and understand Elena and stop giving her mean looks. They are my Otp I don’t want them to see them argue anymore.